Build an infinite 1-bit music box to explore the musical charms inherent to the fundamentals of computing. 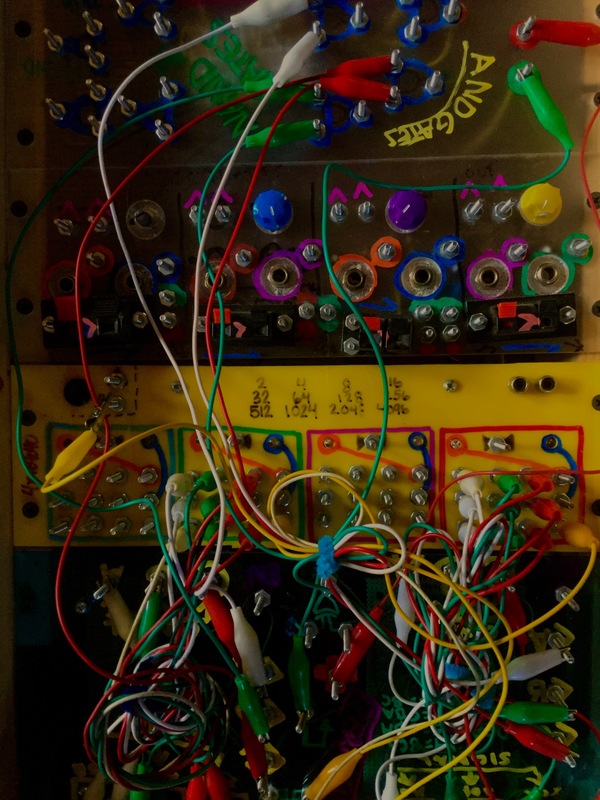 This three-part workshop series will employ physical computing and mechanical design techniques to understand circuit patterns and their impact on crafting electronic instruments. See an example of a music box that students will create by the end of the workshop here. Audience: While a rudimentary understanding of soldering is best, this workshop is open to beginners. Anyone wishing to take the class with no previous soldering experience should email education@pioneerworks.org to arrange a tutorial. Composer, amateur engineer, scientific tourist, and pack rat P. Spadine spends the vast majority of his time guiding the Ashcan Orchestra through it’s glorification rites praising the known universe from a workshop in Brooklyn, NY. By implementing a growing collection of homemade instruments, simple automata, human performers and a combination of determinate and generative compositional tools Ashcan strives to create small musical universes where simple rules flourish into complexity in tribute to the laws that bind the physical world. He is grateful for and humbled by the countless opportunities shared by each venue, from D.I.Y. basements to respectable institutions, that have followed Ashcan to share it’s menagerie since 2007.